Blackline safety is a leader in connected safety monitoring technology, delivering instant situational awareness and connectivity for every industry, location, job and scenario. Our all-new G7 wireless gas detector and lone worker monitoring system is designed from the ground up, featuring an exclusive modular design to support environmental gas detection, lone worker and evacuation management. A choice of three cartridges and a selection of sensors tailors gas detection to every working environment, and online user accounts make it simple to configure devices to meet the needs of every team. Our G7 product line incorporates leading incident detection and advanced location technology with 3G and satellite communications to ensure seamless monitoring. From gas detection to lone worker monitoring, gas detection compliance, data analytics and evacuation management, G7 has your teams covered. G7 is expandable — customizable cartridges tailor monitoring capabilities for every employee role and job. Each device is wirelessly configurable from Blackline Live user accounts, removing the guesswork from managing a world-class safety program. From portable gas detection to lone worker monitoring, G7 keeps you and your teams connected. Always-connected 3G wireless, location technology, automatic incident detection and a built-in speakerphone empowers the fastest possible response. G7 Cartridges tailor G7c functionality. Intrinsically safe. True last-mile safety monitoring with satellite communications, location technology and automatic incident detection helps you keep your remote teams safe. G7 Cartridges tailor G7c functionality. Intrinsically safe. For environmental gas detection, equip our G7c and G7x devices with a Single-gas or Quad-gas Diffusion cartridge option. Take control over your confined space entries and leak-check surveys with our new connected pump cartridge for G7c and G7x. For lone worker, evacuation management and productivity enhancement scenarios where there's no requirement for gas sensors. Calibrating and bump testing G7c and G7x devices is easy with Blackline’s G7 Dock. See the real-time compliance status of all G7 equipment inside your Blackline Live monitoring account. Monitoring employee safety is easy and efficient from internet-connected desktop and mobile devices with Blackline Live. Monitoring accounts provide all the emergency management and configuration tools you need to optimize your emergency responses. With the option of 24/7 live monitoring services, Blackline can manage your emergency responses for you. Our safety monitoring infrastructure includes customized site maps and floorplans that support our assisted-GPS technology, monitoring devices and location beacons. See the real-time compliance of your team and receive the automatic reporting you need, right to your inbox. Cloud-hosted Blackline Live monitoring software is accessible from any internet-connect device, from desktop computers to mobile phones and tablets. Customers have the option to self-monitor or centralize monitoring with Blackline’s 24/7 Safety Operations Center live monitoring service. Blackline Live’s real-time compliance dashboard provides in-the-moment insight into equipment use, gas calibrations and bump tests. Automatic reporting provides regular safety monitoring performance metrics. GPS signals are not reliable indoors and around large buildings and process equipment. Location beacons deliver an additional positioning signal for accurate employee locations. Compatible with custom floor and site plans. Our Loner® product line incorporates leading incident detection and advanced location technology with 3G to keeps teams connected and ensure seamless monitoring. 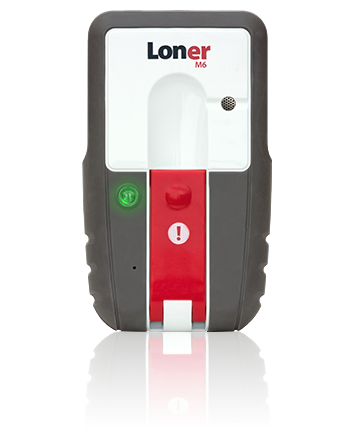 Loner solutions are there for your teams when they need help most, with industrial-grade lone worker monitoring and evacuation management. Loner solutions are wirelessly configurable from Blackline Live with profiles that remove the guesswork related to managing a world-class safety monitoring program. Leading safety monitoring app for Android and iPhone with optional Loner Duo Bluetooth accessory. A Bluetooth accessory that supplements Loner Mobile with additional safety monitoring capabilities. Your supervisory personnel, including managers and team leaders have a valuable job—keeping your business moving safely forward. Available in Canada and the United States, Blackline’s in-house, 24/7/365 Safety Operations Center provides organizations like yours the option of an expert monitoring service that allows your supervisor roles to stay focused on your business activities.